Avalon Plus bench desks come in a choice of 15 desk top finishes and two frame colours that allow you to customise your area. Desk tops are 25mm thick MFC and the edges are protected by 2mm anti knock ABS material. 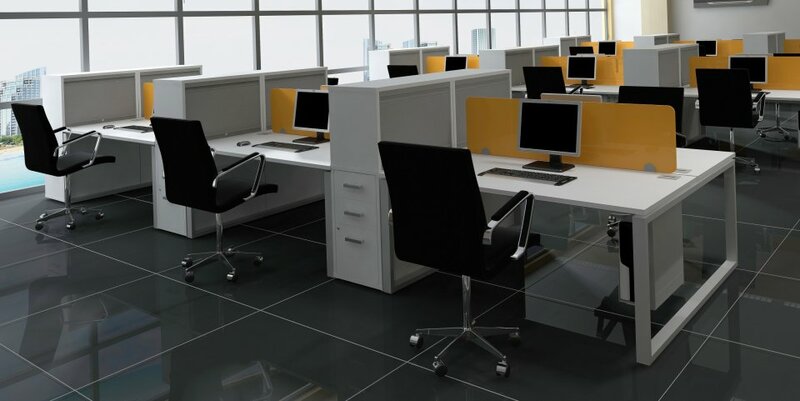 The desk tops are commonly 800mm deep but there is also a limited range of shallow 600mm deep bench desks for situations where space is at a premium or where a limited workspace area is usual. The Avalon bench desk range has a closed loop style fame, not only is this a design feature but is also permits a sliding top version. The tops slide forward on the frame to reveal a cable tray under the desk top where cables and sockets can be placed. This option is especially useful for situations where frequent access to cables and sockets is required. 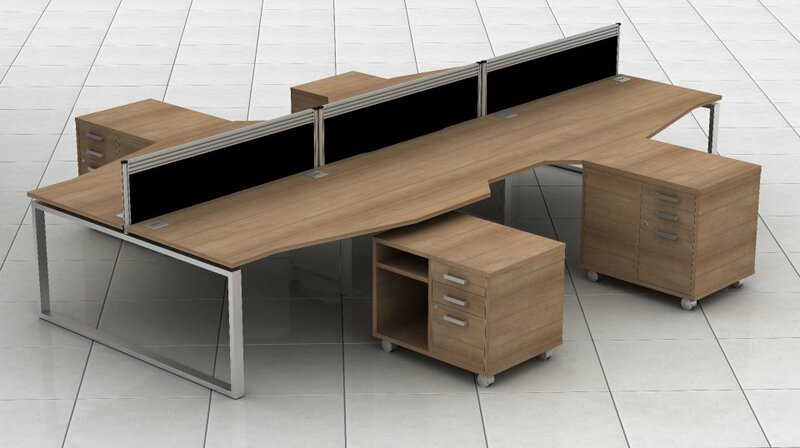 Avalon Plus bench desks come with radial, single wave, double wave and pentagon desk shape variations. Individual tops can also be specified across all 15 finishes for even greater customisation. We support the Avalon Plus range with a full in house space planning and design resource. This is a free service and will enable you to visualise your area and we will help you get the best use out of your space. Please contact our design team to discuss your requirement.